It is hard to say you have mastered Usui Reiki very well just right after the 1 day attunement course. Because practicing Reiki is like driving, we know that we have to continue driving more to feel confident about driving after you got the licence. *We suggest you to attend at least 2-3 times of group practice sessions after you completed 1st attunement course. We are holding monthly group Reiki practice sessions for those who completed Reiki Attunement Course. It is good idea to raise your Reiki energy flow in your body by attending this group practice session monthly. Why do we want to recommend these group Reiki practice sessions? 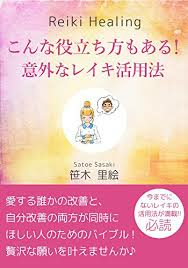 *I received attunement course, but rarely try Reiki to other people so I don't remember how can I apply Reiki any more. *So many things I learned from the course but I don't have chance to practice all of them. *I want to know how the other Reiki students practice Reiki, but I don't have any chance before..
*I thought practicing is something like training seriously, but actually I really felt I got healed my self from practice. I felt very calm and comfortable! *I attended Reiki practice sessions, not only I could brush up my Reiki skills but I could also solve my personal problem! *Originally I want to cancel the group practice sessions, because I didn't feel well at that day, but I recovered after attending Reiki practice as well! I noticed this is because I could improve my energy level by practicing Reiki. *It was good that I feel confidence now about Reiki and distance healing. So why not practice Reiki? *What can I get benefit from group Reiki practice? There are 3 different theme of group Reiki practice. Hands on Reiki healing practice is for those who completed 1st level or above of Usui Reiki. Symbols and Mantras practice is for those who completed 2nd level or above of Usui Reiki. We practice how we can approace ultimate peace of mind through Reiki practice and deepen our understanding about it. It opens for 3rd level or above. We don't practice hands on very much here but we practice breathing and meditation and other Reiki practices which is helpful for this stage. At the end, for those who received attunement at outside Reiki schools/teachers are also welcome to join! Participation Fee is HK$200 per person. Please register your name before your attendance. You can cancel anytime after your registration without cancellation fee. So register your group Reiki session today! Please send the form below for your attendance.